NEWINGTON - State statutes say the town needs more low-income housing, but local officials are considering how to side-step development for the time being. The town could apply for a three-year moratorium on new affordable housing applications, which would prevent developers from building projects that do not meet local zoning requirements. Those that do comply with the town’s regulations would still be able to begin construction during this period. For example, last year the TPZ denied an application from Massachusetts developer Dakota Partners, LLC, for a 108-unit apartment complex at 550 Cedar St. The company is currently in the process of appealing this denial. If the moratorium is enacted, it would override the results of any appeal. 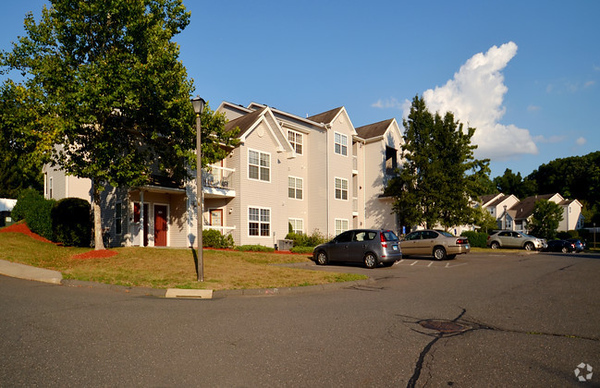 The Connecticut Department of Housing and Urban Development created Section 8-30g to encourage more affordable rental opportunities in a state that has a reputation of being one of the most expensive to live in. It requires towns to offer at least 10 percent of their rental housing stock to low- or moderate-income people. Newington falls short of this by about 240 units, coming in at 8.14 percent. This is without accounting for Victory Gardens, a federally funded supportive housing neighborhood for disabled and limited-income veterans next to the Newington Veterans Hospital. Along with Griswold Hills, another affordable housing complex off of the Berlin Turnpike, this gives the town its required amount of Housing Unit Equivalent (HUE) points to initiate the moratorium. Town Planner Craig Minor was directed by Newington Town Manager Tanya Lane to prepare an application. The Town Council would vote on it before it is sent to the state housing commissioner for approval, Minor informed the Town Plan & Zoning Commission during their March 13 meeting. TPZ members expressed frustration over the fact they were not involved in the decision to pursue the moratorium or the application process. “It went through the council, town planner and town manager and we didn’t know about it, that was the problem,” member Mike Camillo said at the TPZ’s last meeting March 27. Councilor and TPZ liaison Gail Budrejko told the TPZ they were not made aware of the application until recently. “There were initially some informal discussions, but never a formal discussion or a vote taken,” she said. TPZ Chairman Frank Aieta pointed out that the town should have a plan in place for future development if they want a three-year break. To be eligible the town must prove it has made progress towards the 10 percent goal in the years since 8-30g was passed, Minor told the TPZ. This claim must be documented in an affidavit by the town attorney and would also be subject to a public hearing if at least 25 residents petition the application. Town residents have long been torn over their support of high-density, low-income housing. The issue came up when CTfastrak was being built and many times since. Posted in Newington Town Crier, Newington News on Thursday, 4 April 2019 08:10. Updated: Thursday, 4 April 2019 08:13.